Technology is a huge part of our lives. There is no fighting it. It is what we use to connect with friends, get directions and capture memories. In 2017, children are introduced to different types of it at a very early age and expect technology to be integrated in most parts of their lives. And in the classroom, it is becoming increasingly harder to teach students effectively, without the use of technology. Here are a few websites that we think may help any teachers, parents or even students to combine technology with active learning. Click on any green header to go to the website mentioned. Te@chThought is a blog dedicated to helping teachers adapt to the new learner. Te@chThought is a well-organized blog, split into many categories that are updated frequently. Many topics relate directly to technology, like how to improve student learning using education apps, encouraging proper tablet and computer use, how the teacher keeps up with new research tools, and many more helpful articles. New content is intended to encourage and support the education of the 21st century learner. The Learning Network is The New York Times online portal for learning in and out of the classroom. NYT.com connects the classroom with real world events. It is news-oriented with weekly current events quizzes and uses activities, articles and interactive resources connecting current events and history. It is updated with free lesson plans for teachers, and helpful links for parents. And encourages the use of interactive activities for students (word of the day, crosswords, quizzes, etc.). This is a great website with tools for connecting school and home. PBS Learning Media organizes resources for teachers. PBS provides easy navigation through an abundance of resources for all levels of learning and most subject areas organized by standards, grade levels and/or subjects. It is updated frequently with new content and highlights (ie. ‘This month in history’) that encourage new perspectives on old topics. It even has Educator Hangouts: online discussions weighing different issues related to education. PBS includes interactive learning tools for teaching or assigning like videos, interactive documents, how-to instructions, etc. Edutopia provides connections for educators. This site provides free curriculum planning help, hoping to merge tradition plans with new, interactive lessons. Teachers actively participate on this website by writing articles, providing resources, giving advice and sharing ideas. There are sections dedicated to information on different learning styles as they become increasingly more prominent in the classroom. The site hopes to help teachers adjust lesson plans and being aware of those styles in everyday teaching tactics. It offers Common Core strategies and organizes information by grade level. Edutopia is an excellent resource for any educator looking to grow in teaching. Common Core gives an abundance of information about state standards. CommonCore.org provides the user access to any state’s page that has adopted common core for a more specific view at what to know. It includes helpful links, like Frequently Asked Questions, The Truth about Common Core, and more informational pages intended for teachers and parents. 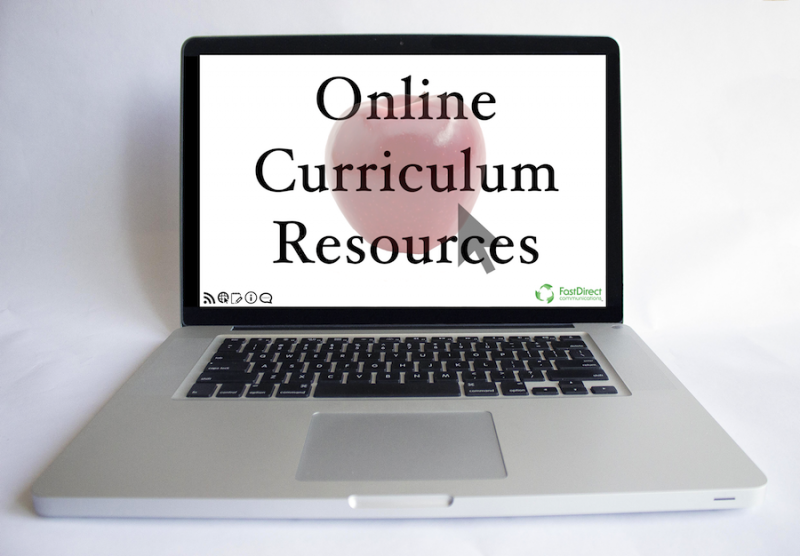 For teachers, the site provides implementation plans, and guides on how to modify current curriculum. There is even a web series for each standard. This website helps anyone who needs a better understanding of the Common Core State Standards. Know any great education websites? I am very excited to be a contributor, providing articles aimed to educators, and I am crossing my fingers that I use the correct punctuation. Working at FastDirect Communications has been a great opportunity for me to learn, as well as to teach. I love working with people and appreciate our customers immensely for challenging me each time I pick up the phone or answer a message. Thank you for taking an interest in FastDirect Communications!